The property was quirky and endearing. We stayed in the grotto, completely stunning and lovely! We stayed at superior holiday home with sea view. Its really fantastic place to stay, room is big, kitchen well equipped and everything was perfect clean. Great big balcony with sea view. There is a separate parking next to apartments balcony. Location is quite and surrounding kept very clean. Lovely swimming pool with sea view and barbecue. There is one more barbecue at the picnic area. Definitely you need a car or some kind of transportation, but everything is close, from local markets to argostoli, which is 10 min driving. The apartment was very comfort with a great view from the balcony. The kitchen was fairly equipped (but better to add more dishes). The roads to the property are narrow and steep. Overall, the property is very nice and well maintained and it a good value for the money. The Villa Theodora is excellent value for money and is set in beautiful grounds. We loved the pool (which we often had all to ourselves) and the peaceful, relaxing setting. The staff are lovely ... Very helpful .... We were given a lift to pick up our hire car which was much appreciated! Although set in the small village of Lakithra ... It is well located for visiting Argostoli and many beautiful beaches. You definitely need a car however. 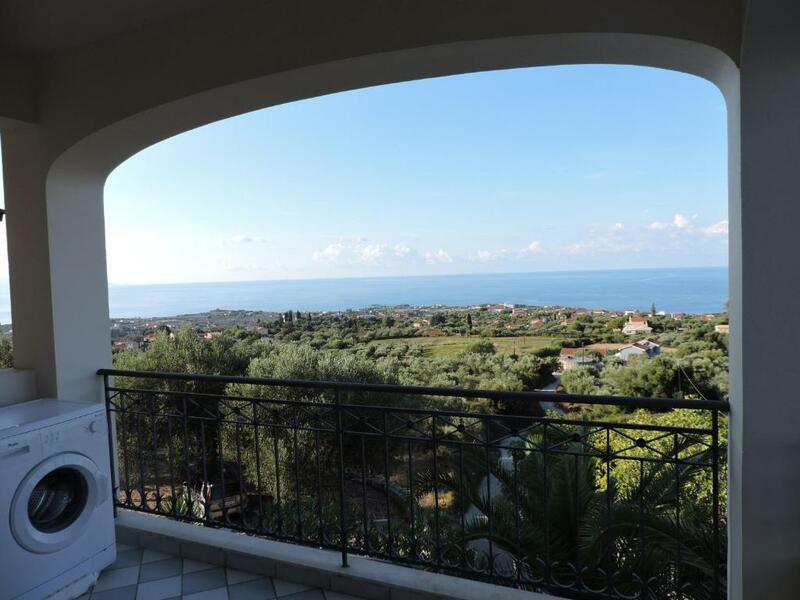 Very nice property, quiet, big and clean rooms, very nice and helpfull people, very closed to the Kefalonian’s airport(1,7km). The kitchen was very well equiped. The peoperty has a big garden, grill and pool. We like and we reccomand Villa Theodora. A lively quirky roomy apartment by the pool. Really lovely and good views. Very beautiful, clean and spacious room. Every day , the room was cleaned. Very good quality price. We recommend. We stayed in the deluxe apartment. The view from the balcony was incredible and both bedrooms were very large, comfortable and had lots of storage space. The complex itself is about a 5 min drive (uphill!) from the airport and in a quiet and peaceful location. A car or moped is essential I would say and there are lots of hills. The closest supermarket is a 5 min walk away and a lovely little bar with a rooftop is also about the same distance away. The swimming pool is amazing! Lots of sun beds and we had it to ourselves most of the time. The owners and their children and extremely helpful, polite and always on hand if you need them. I highly recommend this place if you are looking for a relaxing week away. 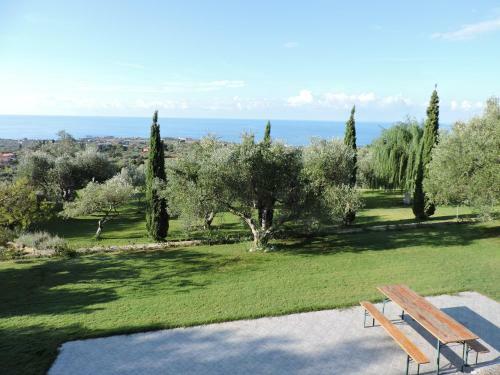 Lock in a great price for Villa Theodora – rated 8.9 by recent guests! One of our top picks in Lakithra.Offering a seasonal outdoor pool, Villa Theodora is located in Lakíthra. 3.7 mi from Argostoli and only 1.2 mi from the sea. Free private parking is available on site. The accommodations is equipped with a seating and dining area. A fridge is also provided, as well as a coffee machine and a kettle. Some units also have a kitchen. Villa Theodora features free WiFi throughout the property. Bed linen is offered. Air conditioning is provided upon charge. 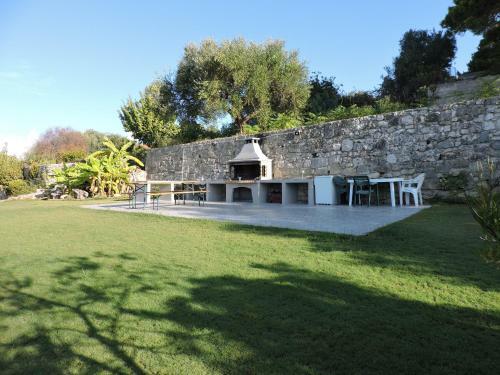 Villa Theodora also includes a barbecue. You can play table tennis at the property, and car hire is available. Myrtos sea is located 22 mi from Villa Theodora. Kefalonia Airport is 1.2 mi from the property. This apartment has a seating area and electric kettle. Air conditioning is provided upon charge. Located on the ground floor, this studio apartment has a well-equipped kitchenette, a dining area, a bathroom and a small terrace. Air conditioning is provided upon charge. This semi-basement apartment opens out to 2 terraces, one of them offering sea view. 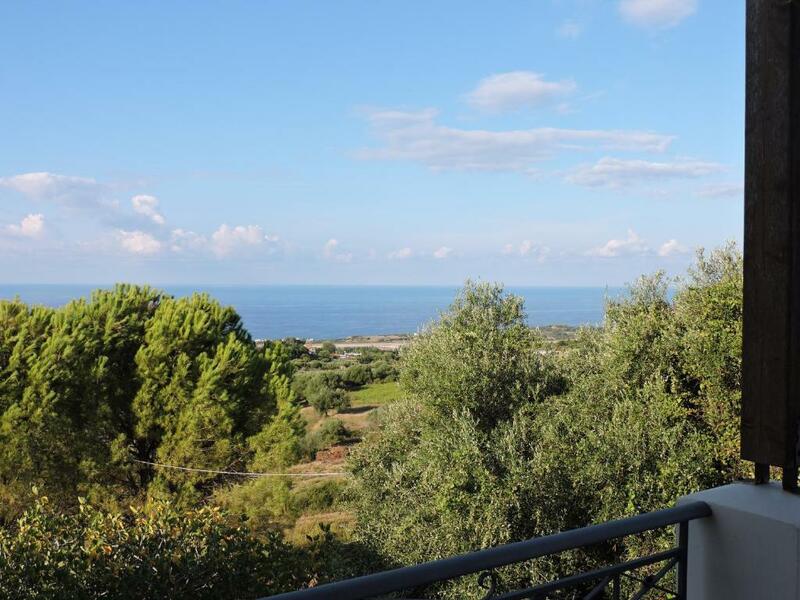 Opening to a terrace with sea views, this apartment has a kitchen and a separate bedroom. A living room with sofa is included. It is located on the first floor. Air conditioning is provided upon charge. 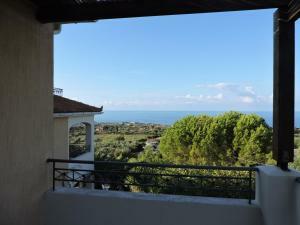 Opening to a terrace with side sea views, this apartment has a kitchen and a separate bedroom. A living room with sofa is included. It is located on the ground floor. Air conditioning is provided upon charge. -a bedroom and a bathroom on the upper floor. 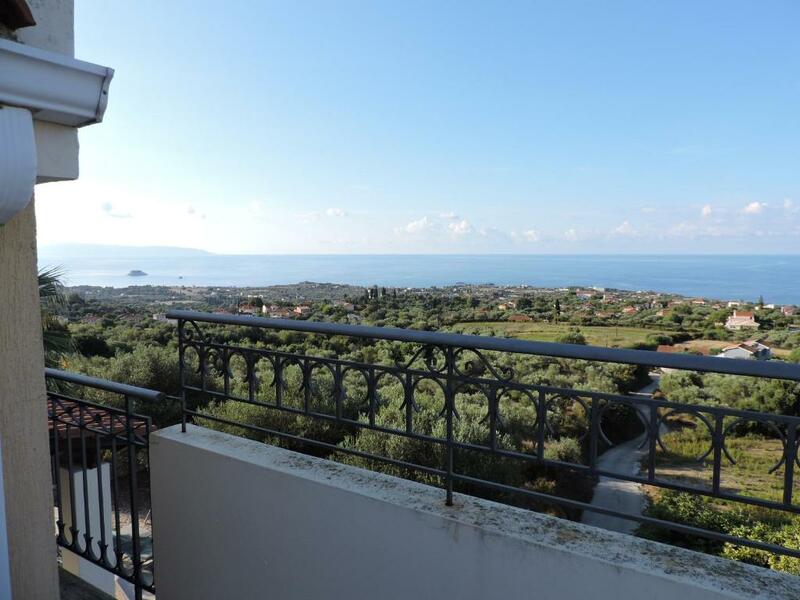 Opening to a balcony with side sea views, this apartment has a kitchen and a separate bedroom. A living room with sofa is included. It is located on the top floor. Located on the ground floor, this apartment has 2 bedrooms, a living room, a fully equipped kitchen and a bathroom. It offers views of the sea and the pool. Offering a terrace with sea views, this home has a spacious living room with double bed and fireplace. It features a kitchen and a bathroom. Private parking is provided. Offering a terrace with sea views, this more spacious home has a spacious living room with double bed and fireplace. It features a kitchen and a bathroom. Private parking is provided. 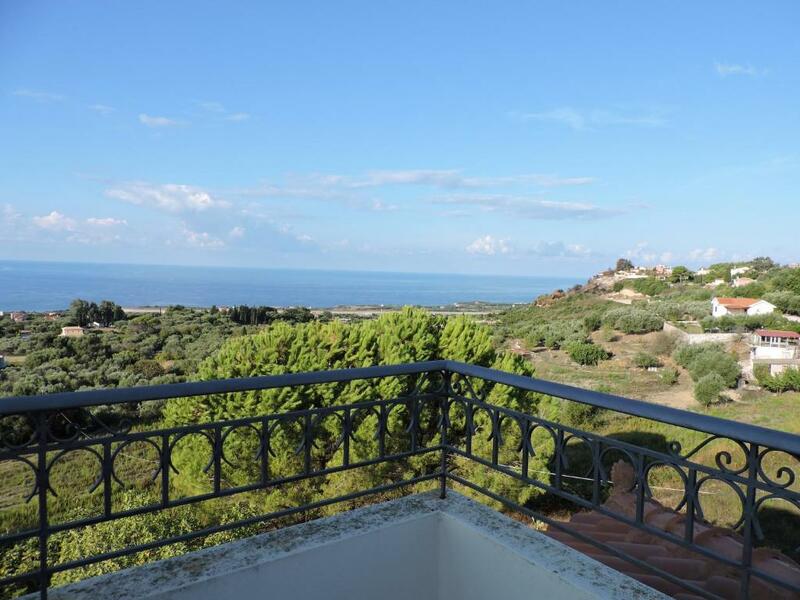 Opening to a terrace with sea views, this apartment has a kitchen and a separate bedroom. A living room with sofa is included. It is located on the first floor. Villatheodora, nata nel 2004 in Lakitra , villaggio di gente di mare , con una vista meravigliosa sullo ionio . La sua caratteristica è la tranquillità . A piedi si raggiungono ristoranti , la pasticceria , il panettiere , il mini market. Con 5/10 minuti auto si arriva in almeno 12 spiagge diverse. E' posta in una posizione centrale rispetto all'isola con possibilità di fare escursioni in tutte le località turisticamente interessanti senza superare i 40 Kmetri di distanza . Gli ospiti hanno a disposizione personale che parla italiano e che può dare indicazioni utili per godere e sfruttare meglio la vostra vacanza . Lakitra è a 6 chilometri dalla capitale (argostoli) a due chilometri vi sono tre super market. Il mare e l'aereoporto sono a due chilometri di distanza . House Rules Villa Theodora takes special requests – add in the next step! Villa Theodora accepts these cards and reserves the right to temporarily hold an amount prior to arrival. Please inform Villa Theodora of your expected arrival time in advance. You can use the Special Requests box when booking, or contact the property directly using the contact details in your confirmation. When we stayed, there were some very noisy guests in the appartment below ... But that's not anything the villa owners can really always avoid. There are also some lively local dogs so late night barking was a bit of a problem ... None if this mattered much to us but might be an issue of travelling with very young children? We would definitely stay again. Lovely stay off the more widely beaten track. Great restaurant and bar nearby. So friendly. They do not have a pool bar. No water to have a shower after a day at the beach with 2 kids ( apparently this is common) if you want air conditioning you have to pay extra and then when you do it only stays on for 3 minutes. Nothing to report, we liked everything! Our suggestion would be to be provide basic toiletries, such as small soap bar, shampoo and shower gel. Extra costs. Air conditioning unit costs 7,5 eur/day althrough booking.com says it has one. Baby cot is 5 eur/ day but they did not charge us which is good. I liked the location. The sandy beach with beach resturant is 10 minutes away by car. The airport is also 10 minutes away. There is a swimming pool and some playground for children. No traffic at all. Great to stay if you have a car. Beautiful peaceful location . Well designed facilities . Friendly but unobtrusive staff. Loved it - didn’t want to go far from it!